Have to bring a plate of something to your Easter get together with friends and family? 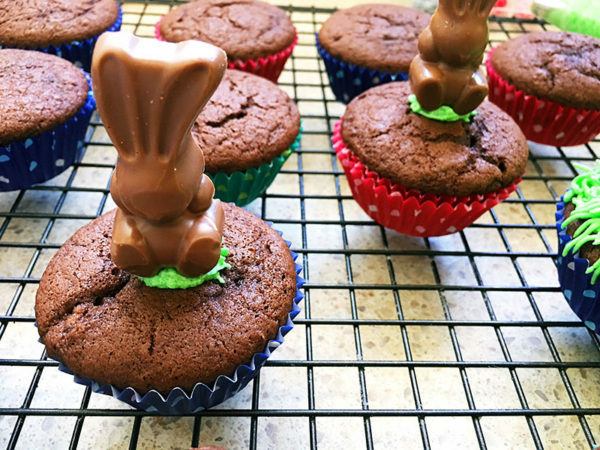 Here’s your chance to impress the kids by giving your favourite cupcake recipe an awesome Easter makeover. Come hop on through to find out how! 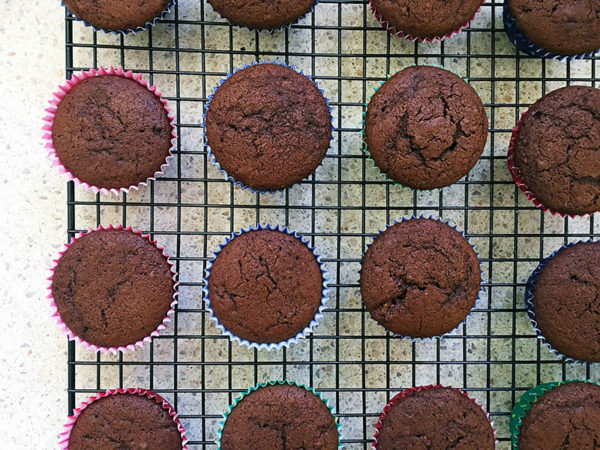 I’ve included my go-to cupcake recipe here, but by all means, go ahead and use your favourite – let’s be frank, this recipe is all about the decorating. Arm yourself with a Wilton #233 piping tip and let’s get busy! That grass look icing isn’t as tricky as you might think. Preheat the oven to 160°C. Line two cupcake trays with 18 paper liners. Melt the butter and transfer to a large mixing bowl. 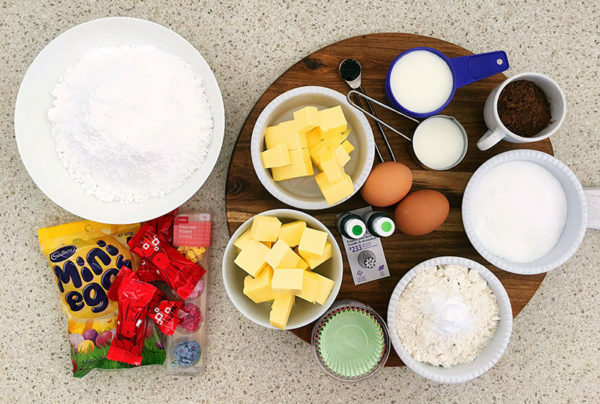 Add all other cupcake ingredients to the bowl and mix until only just combined and lump free. 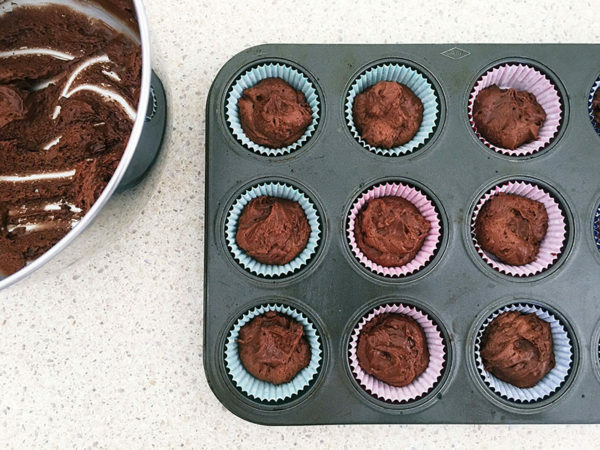 Divide the mixture between the cupcake liners. Bake for 15 to 20 minutes until they bounce back when lightly touched in the centre. 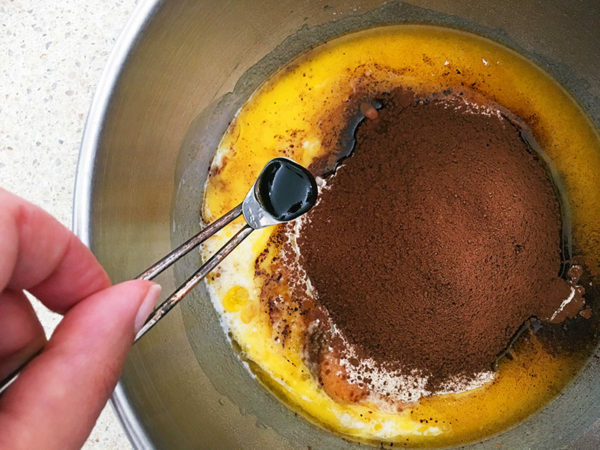 To make the buttercream icing, sift the icing sugar into a small mixing bowl. Add the milk. 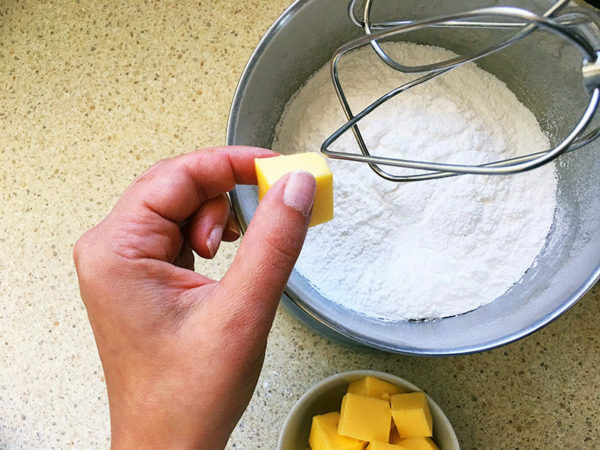 Using an electric mixer, add the butter gradually. Beat until smooth. 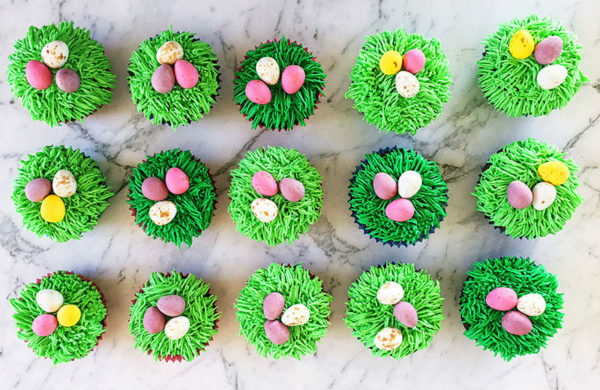 If using more than one shade of green for grass, divide the icing into two separate bowls. Beat in a few drops of food colouring. 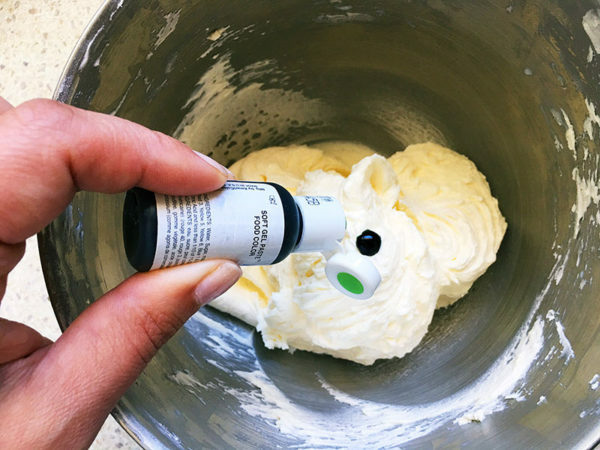 Fit your piping bag with the Wilton #233 tip and fill it with your icing. 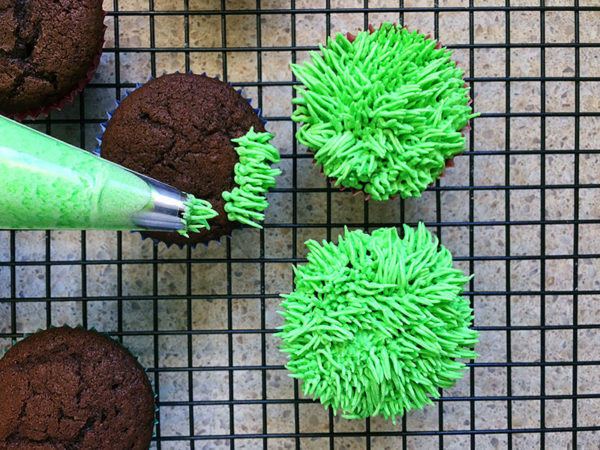 Squeeze a little icing from your piping bag and pull it away to create a grass effect. A bit of practise and you’ll soon get the hang of it. 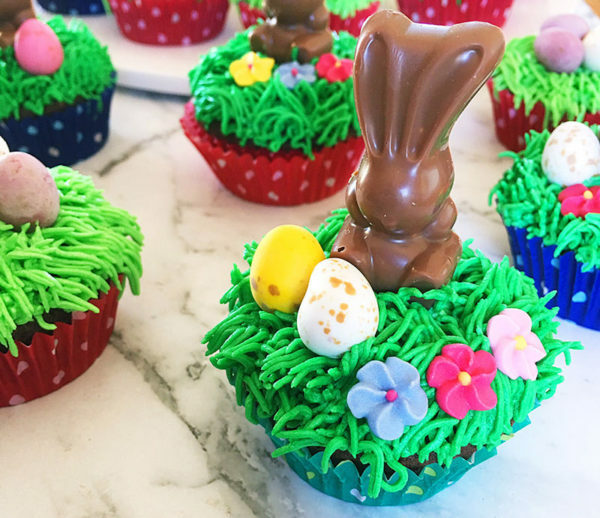 For the bunny version of the cupcake, ‘glue’ the bunny to the cake using the icing, then pipe grass around it. 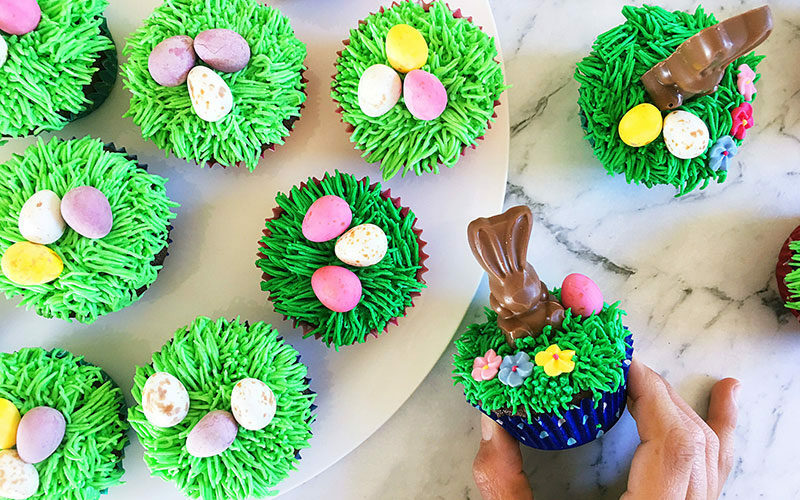 Add mini eggs, sugar flowers, sprinkles or whatever pretties your heart desires to the top of each cup cake and you’re done. Delicious!